SAN ANTONIO - Six times. That's how often Jerry Clark has tried methadone as a way to kick the opioid known as heroin. He's currently a methadone patient at the MedMark Treatment Center in the 7400 block of W. Military Drive. Methadone is a synthetic opioid, usually given in liquid or wafer form, often used daily by people attempting to overcome a heroin use disorder since the drug prevents withdrawal symptoms. Clark said the drug dealers loiter outside the center targeting MedMark's patients, including himself. "The main thing is the selling of drugs," Clark said. "People turn to Xanax. When you take Xanax with methadone, it almost creates that exact feeling of the heroin." Multiple patients who spoke with the Defenders said the drug dealing in front of the clinic is common knowledge among people who seek treatment there. In fact, the KSAT 12 Defenders found what appeared to be a used heroin rig in the parking lot, less than 100 feet from MedMark's entrance. Clark said he has been asking management at MedMark for over a year to hire a security guard and called the environment a barrier to his continued sobriety. "I'm not here to try to get anyone in trouble, get somebody fired or any of it. I would love to see the existing employees who I'm having problems with just do the right thing," Clark said. He acknowledged that he is going the methadone treatment route for the sixth time. His first attempt was in 1996, but this has been Clark's first time staying on methadone for an extended period of time. From late February through early March, the Defenders used undercover cameras to record what was taking place outside the facility during its normal hours of operation. On Feb. 28, the female driver of a gold Hyundai crisscrossed the parking lot for almost two hours, going up to one patient after another as they exited the facility. Eventually, a young woman got inside the Hyundai and sat next to the driver. A man then got out of a nearby Jeep and reached into the vehicle. It was the first of many instances of the same people and vehicles staying in front of the clinic for most of the morning. On March 5, a man claiming to work for the clinic approached a KSAT 12 news crew and asked them to stop recording video. When told that people were dealing drugs in front of the facility he said, "Yeah, I understand." He then asked that the crew record footage from an area in the parking lot further way from the clinic. "I mean, this is insane." Clark also provided the Defenders video shot on his cellphone earlier this year showing used methadone treatment bottles on the ground and left out in the open in an unlocked dumpster behind the MedMark facility. The bottles contained labels with patients' private information, including their methadone dosage amounts. "I mean, this is insane," said Clark on the video before reading a patient's dosage amount out loud. 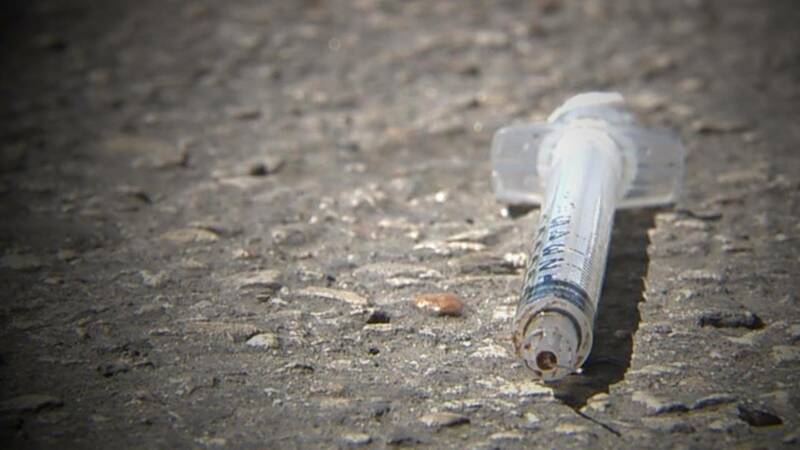 Chris Lopez, an addiction and community outreach counselor for New Season San Antonio Treatment Center, which is in the 3600 block of Culebra Road, said staff members have taken a proactive step to cut down on loitering. "We have all types of people coming here. We have attorneys. We have gang members. We have people who are in active addiction. And if they're loitering out front, it might cause someone to have another issue," Lopez said. The treatment center has a security guard out front and the program director and counselors are proactive, even going as far as to walk into the parking lot to make sure patients are able to leave without being approached. Lopez said staff members created a three-minute rule, meaning patients have three minutes to leave the premises after competing their treatments for the day. Lopez said between 3,500 and 4,300 people are treated with methadone in San Antonio each day, a fraction of the more than 20,000 people who should be seeking methadone treatments but currently are not. Local MedMark officials did not respond to a request for an interview for this story. A spokesman for MedMark's parent company, BayMark Health Services, responded to a request for comment by stating in an email, "Thank you for reaching out. We have no comment at this time."